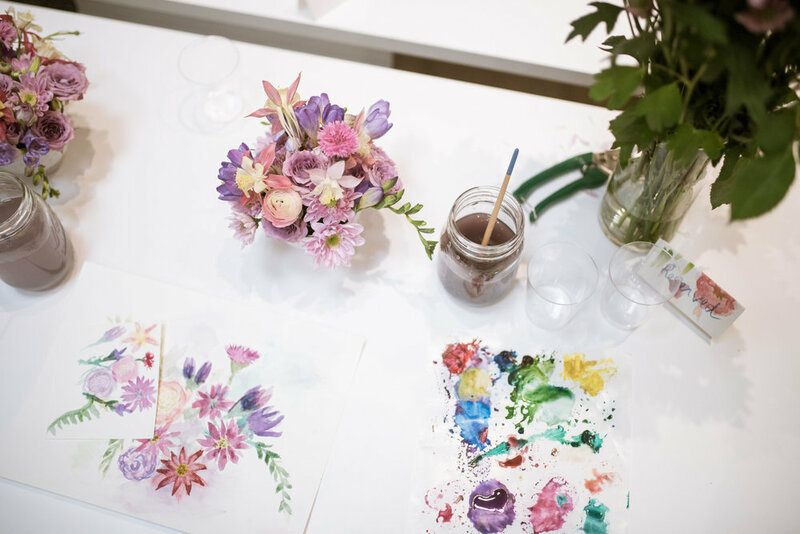 Port + Palm Co.'s lead designer, Jenny, will lead you through the step-by-step process of creating your very own floral arrangement. You'll walk away with a basic knowledge of processing flowers, how to use certain types of floral design elements, mechanics, and general design rules to follow. Supplies are determined based on the type of arrangement. Port + Palm Co. will provide all supplies required, one assistant, and setup each station the day of the workshop. We are firm believers in learning and working with your hands. Workshops are a great way to learn a new trade, explore a new passion, spend a few hours with your friends, and engage with other creatives. In the end, you walk away with an arrangement of fresh flowers and a new set of tricks to apply the next time you purchase a bundle of fresh-cut stems. Perfect for bachelorette parties, wedding weekend activities, Mother's Day, holiday parties, weekends, anyone who likes smiling and playing with flowers. Thank you for your workshop inquiry! We will be in touch soon with more information.